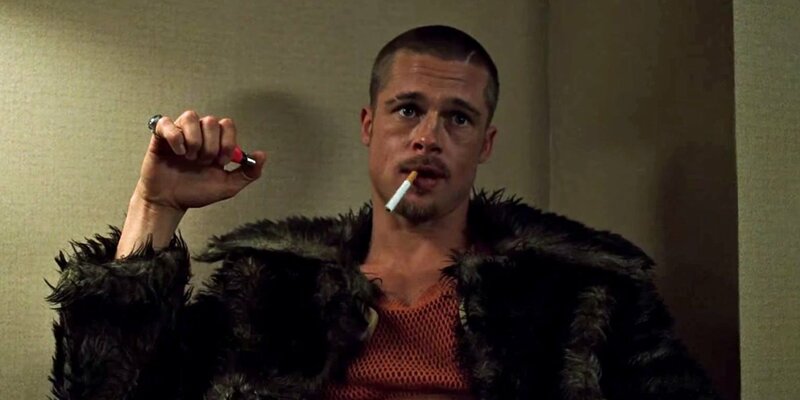 If you spend enough time jacked into the internet you’ll start to realise off-key patterns and trends, this is very much the case with Brad Pitt and his love life. Those who have scoured the web endlessly looking for obscure and pointless eccentricities are heroes in their own right. Because without them how were we to know that Brad Pitt has somehow, lowkey morphed into a doppelganger of every girl he’s ever dated. Over the course of the last 20 years or so. It’s bizarre I tell you. You what’s even more bizarre? How some people have reacted to this information, it’s as if the very foundations of their lives have no longer become sustainable and there’s no way back. Welcome to celebrity culture in 2018 where everything from the mundane to the over-the-top is analyzed and dissected as if it were a 10,000-word dissertation. The subject, Brad Pitt and his chameleon-like approach to dating. It’s not like he didn’t look like Brad Pitt when he was with former partners and ex-wives like Gwyneth Paltrow, Jennifer Aniston and Angelina Jolie. It’s still the Oscar winner, just as a subtle mirror image of one of his partners. Take for example him and Paltrow, the pair dated from 1994 to 1997 and yet no one realised they were sporting the same bleach blonde bob. Unless they did, I can’t tell you, I didn’t read celebrity gossip magazines when I was a pre-teen. It was the same for his marriages with Jolie and Aniston, he somehow managed to imitate their styles for his own, right under our noses. Until now. He even taxed Juliette Lewis’ style when they briefly dated. My question is: what was in it for him? Was he subtly looking for a Kooples endorsement? Either way, the reaction to Brad Pitt’s ability to blend into his former partners looks got people on social media searching for more evidence. Sarah McGonagall began a Twitter thread of him with his former partners, which has gone viral, and the trend extends all the way back to the early part of his career. Unfortunately for McGonagall, Brad is currently spoken for again. Following his divorce from Angelina Jolie in 2016, his eligible bachelor status lasted for about two years. He’s currently smitten with new love interest, Professor Neri Oxman, an award-winning architect with a PhD in design computation. Turns out she’s the full package and according to fellow actor and best friend George Clooney, 42-year-old Oxman is ‘the sexiest thing he ever laid eyes on’. Which is saying a lot considering Pitt’s dating history. According to Us Weekly (GDPR blocked), the 54-year-old actor became instantly smitten with her when they met last autumn when he consulted her about an item of furniture she had designed. Slowly, but surely, he’ll construct a new style based on her looks. The internet has told us so.